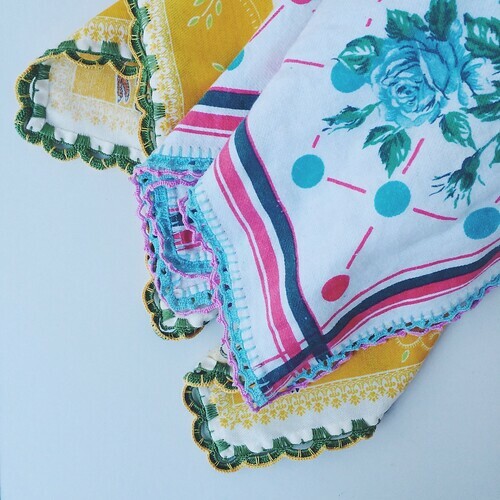 [instagram] #maximalism > beautyfying everyday kitchen towels with crochet edgings is the pastime of choice of uncountable portuguese (older) women, thus keeping their hands busy at times once used for spinning, mending or knitting socks. large bold ‘joyful’ prints and bright yarns are always preferred over lighter ‘minimalistic’ palettes, discarded as too plain or simply ‘sad’. I wish we all still had time to make these lovely housholdthings but ….